This will be me someday. Do I have a Fit, Hot Bod right now? Nope, but I’m gonna. I’m gonna get healthy, strong, fit, and I’m gonna rock a bathing suit. I’m getting fit for me, not for anyone else. And I’m inviting you all to go on this journey with me. I used to struggle with binge eating, especially if something went horribly awry in my life. Got my heart broken? Where’s that pumpkin pie? I’ll polish that entire pie off in one or two binge sessions, don’t you worry about that! My parents died within eight months of each other in 2003. How did I cope with the overwhelming grief? By eating. Sitting alone on the couch, watching TV, and eating junk food. I don’t really drink, so this was my way of coping with the pain that just wouldn’t go away. Ironically, it was my mom’s death a few days after Christmas 2003 that had me diving off the deep end into a pile of apple pie á la mode. Mom was a difficult personality. Very controlling. She had her own obsession with staying thin (she was 5’2″ and weighed about 100 lbs. and even weighed much less when she died), and she had ruled my sister and me with an iron fist. If she gave us some ice cream, it was a small scoop in a bowl, never in a cone. Never, ever. We never had chocolate milk, rarely had candy, and even bread was heavily restricted. Mom never changed, by the way. Years later, my parents took my nieces to the movies. My mom gave them cough drops instead of candy and doled out minuscule handfuls of popcorn. My dad, as always, let her control the whole situation. When my nieces relayed to my sister and me about their movie-going experience, we just had to laugh and shake our heads. Yes, some things never changed. So the doctor had labeled me FAT too. Since then, I have never again felt like a normal person. Between the two of them, they destroyed my sense of self and my self-esteem. Sadly, when I got down to 125 lbs. that summer, my mom didn’t even pat me on the head. Nothing. No acknowledgement whatsoever. And here I had lost weight to gain her approval. But I never did gain her approval. Any approval always went hand-in-hand with criticism. High school was not a positive experience for me. Junk food was sold all too readily. Pizza, buttered rolls, chocolate chip cookies, chocolate ice cream… Mom wasn’t there to control me, so I was like a kid turned loose in a candy store without supervision. I controlled myself just fine in my freshman and sophomore years, but a stressful family life in my junior year had me turning to junk food for solace. Eating foods denied to me over the years by my mother provided the illusion of having some measure of control over my life. Sure, I lost weight over the ensuing years. I lost it for this good-looking guy who later broke my heart. Then I gained it. I later lost weight for myself because I was enjoying my life again, but then I made a huge mistake. I married a man who turned out to be very much like dear, old mom: abusive, controlling, and manipulative. In fact, I ended up in therapy during much of the marriage because of the extreme emotional pain I was in. The one big difference between my mom and this man is that my mom loved me. My ex thrives on chaos, is not capable of love or real empathy, and has never been faithful to any woman. He’s a sociopath, and he’s now on his fourth wife. Actually, I just heard that he’s already left that wife and is currently living with another woman. He’s also manipulated the girlfriend and is now added to the title on her house. Just wait until he declares bankruptcy for the umpteenth time and loses her house for her. So you can imagine what emotional hell I went through while married to this sociopath. And here I kept trying to please a man that was impossible to please. I was doomed to fail. In May 2015, I finally went to the doctor. I knew I had untreated hypothyroidism and sleep apnea, plus I was in a great deal of pain and discomfort. I was walking with a cane, had limited mobility, couldn’t sit or stand for more than a few minutes, and I suspected I had osteoarthritis in my knees. My clothes were getting tighter and tighter, and I hated looking in the mirror. I worried that being obese would cause metabolic changes which could easily lead to Type ll diabetes. So I had a full blood panel done. My blood pressure was too high, my cholesterol was too high, my glucose levels were too high, and my vitamin D levels were too low. I’m on pills to regulate my thyroid for the rest of my life, plus I’m taking pills for osteoarthritis, to lower blood pressure and cholesterol, and I’m on vitamin D supplements. Stepping on the scale at the doctor’s office was eye-opening. Scary even. My weight had ballooned to an all-time high. The decision to make big changes was a no-brainier. My diet now mainly follows the Mediterranean diet, with 40% carbs, 30% protein and 30% healthy fat. I eat clean at least 80% of the time. I immediately eliminated sodas, both diet and regular. The amount of sugar found in a soda is very harmful to me, and I want no part of artificial sweeteners. So now, I’m basically sticking to water and the occasional Bai5 drink. My goal is to lose quite a bit of weight and keep it off. I want to be able to stop taking meds for high blood pressure and high cholesterol. I’ve got osteoarthritis in my knees, so I’m hoping weight loss, exercise and physical therapy will relieve much of the inflammation and swelling. I’m really trying to limit my sugar and carb intake because I’m pre-diabetic. My A1C is 6.1 and I need to get it down to 5.6 to be safe. So I am losing weight, exercising, and am staying away from added sugars as it elevates blood glucose levels. I still eat fruit, of course, but I try to stick with fruits with a low glycemic load. I try to eat carbs with a protein and healthy fat at the same time to minimize blood sugar levels spiking. If I have to eat fast food, I go to Carl Jr’s and order the original all-natural burger, lettuce wrapped, no catsup, mayo or mustard. Nutrition has always fascinated me. I majored in dietetics at CSULB in the ’80s. I loved the nutrition courses. Oh, I was into organic food back in the ’70s, thanks to my holistic chiropractor. I’m not a registered dietician however. I have to say, the science sure has changed since then. Back then, for example, there were only 4 food groups. More research has been done, and it’s widely available to the public, thanks to the Internet. But I know how to do research, sift through info, ignore fads, and make educated decisions based on my research. I’ve spoken to my doctor and a registered dietician about my own personal needs and they both were happy with my conclusions. Back in the ’80s, I volunteered with WIC (Women, Infants and Children) in Long Beach and taught classes on nutrition to get some externship experience under my belt. Those classes were not easy to teach because the young mothers were forced to attend those classes in order to get their vouchers. One lady complained loudly that her kid didn’t like the cereals that were authorized on the plan. The kid wanted Cocoa Puffs! How to explain that the government is NOT going to give you free sugar and chocolate cereal when the lady didn’t really want to learn? Aargh! But the Navy wives were different. However, they didn’t attend those classes; they came in to discuss their food diaries instead. They wanted to learn and to improve their families’ health. So I gave them feedback on their food diaries in an effort to help them make better food choices. Back then, we didn’t have all these great apps to personalize diet plans, or to track calories, etc. Everything was done manually. It wasn’t easy back then to balance calories, macronutrients, vitamins and minerals manually. Now I use My Fitness Pal and Fooducate. I use MFP for my food diary. I use Fooducate to help grade foods. It’s a great resource. The main purpose of this blog is to help keep me on track, but also to share my struggles to get healthy and fit with all of you. Through my research, I’ve come across invaluable articles, recipes, and tips on how to be fit and healthy. Some of you are thin but you’re scratching your head trying to figure out why you don’t have six-pack abs. It comes down to a mathematical formula, which I intend to share with you. 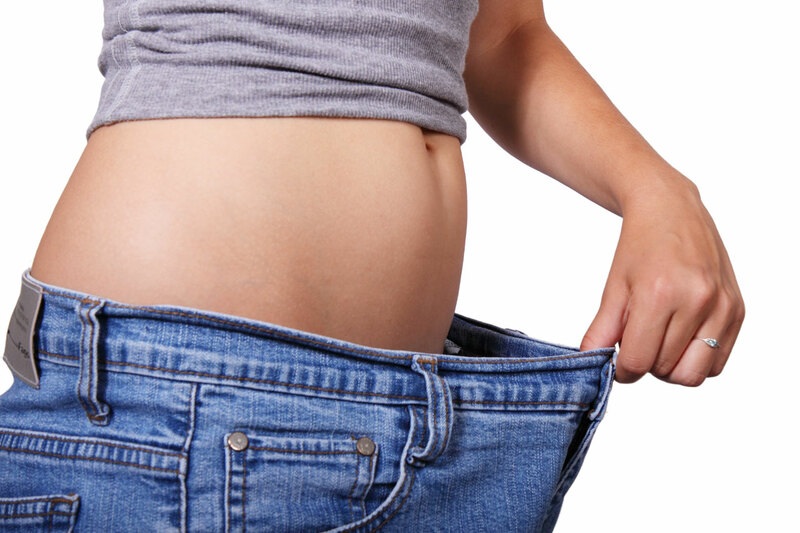 This blog won’t be just for people who want to lose weight. It will be for everyone who wants to improve and maintain their physical health. Together, we can encourage each other to keep on striving to reach our personal goals, no matter what they may be. I LOVE this intro 🙂 I am beyond excited for you Tia, and I’m looking forward to reading about your journey to a healthier life and things that work (or maybe don’t work). I really admire your bravery and courage to not only share but also to challenge yourself when its not easy!!! Hey, did you read about the time you two went to the movies with Nana? Your mom recounted that story to me again fairly recently, which is why I was able to include it. LOL! I’m really proud of you. My son approached losing weight differently, but with the same steps. He looked closely at his food. Then ate it! Actually, he began reading labels, trying to reduce sugar intake and mild exercise. That was a year ago. Today he is down 100 lbs. He exercises 3 days a week and knows more about how food works on our bodies than I do and I’ve been the one trying to instill this knowledge in him since he began packing on the weight when he was a preteen. Keep it up, Deb! That’s so great about your son. 100 lbs is awesome! Consistently is the key. And determination too. I’m up to exercising 5 times/ week. I have to because it will help lower by blood glucose levels, plus I’ll tone, get more muscles, and will lose weight faster. I love water aerobics, so that makes it easier for me. Thank you for the encouraging words!